There are runoff elections in districts 1, 3, and 8. 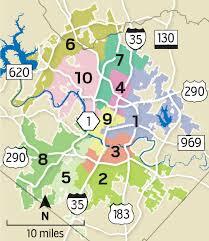 Find your City Council district. Early voting for runoff elections runs from Thursday, Nov. 29 to Friday, Dec. 7. Election Day is Tuesday, December 11. League of Women Voters will host City Council runoff forums between the candidates on Monday, Nov. 26 inside council chambers at Austin City Hall. District 1’s forum will kick off at 6 p.m., District 3 at 7 p.m. and District 8 at 8 p.m. The forum will also be livestreamed ATXN.tv. Yesterday, US Customs and Border Protection fired teargas on asylum seekers at the San Ysidro port of entry in Tijuana. Eyewitnesses reported that the wind carried the gas to babies and children in the crowd. Seeking asylum is not illegal, and historically asylum seekers have been permitted to stay in the US while their claims are reviewed. It’s important that we continue to pressure Members of Congress to make clear that the escalating attacks on asylum seekers are unacceptable. Before yesterday’s teargas incident, the Trump administration issued a “cabinet order” loosening the engagement restrictions of US troops at the US/Mexico border. Specifically, it grants them permission to engage in some law enforcement roles and use lethal force. This is a shocking breach of institutional norms and a possible violation of the 1878 Posse Comitatus Act. To recap: The administration ordered the military to consider lethal tactics at the border, and days later Customs and Border Protection dispersed crowds with tear gas. Before it escalates further, the situation requires swift congressional response. CALL CRUZ, CORNYN, AND YOUR REPRESENTATIVE and tell them to issue a statement condemning the administration’s executive overreach and its reprehensible treatment of asylum seekers. Last week, the President released a rambling, seemingly dictated and unedited statement, filled with falsehoods, about the murder of Washington Post journalist Jamal Khashoggi. As the Post put it: “One cannot dismiss the possibility that Trump’s personal profiting off the Saudis is shaping U.S. policy.” Rep. Lloyd Doggett is urging the President to enforce sanctions. We need other lawmakers to speak out. Tell CRUZ and CORNYN to condemn Trump’s weak, factually inaccurate statement that absolves Saudi Arabia of all responsibility while potentially benefiting Trump’s business interests. Previewing the 86th Legislature: A Texas Tribune Symposium, 8 a.m. to 4:30 p.m. at the Etter-Harbin Alumni Center, 2110 San Jacinto Blvd. Indivisible Austin Women’s Coffee Meetup, 11 a.m. at NeWorlDeli, 4101 Guadalupe St. This is intended as a safe space for women (and those who identify as women) to get to know each other, network, discuss our activism activities, check in about how we’re holding up, and see if we can offer help, resources, and connections for our various resistance activities.